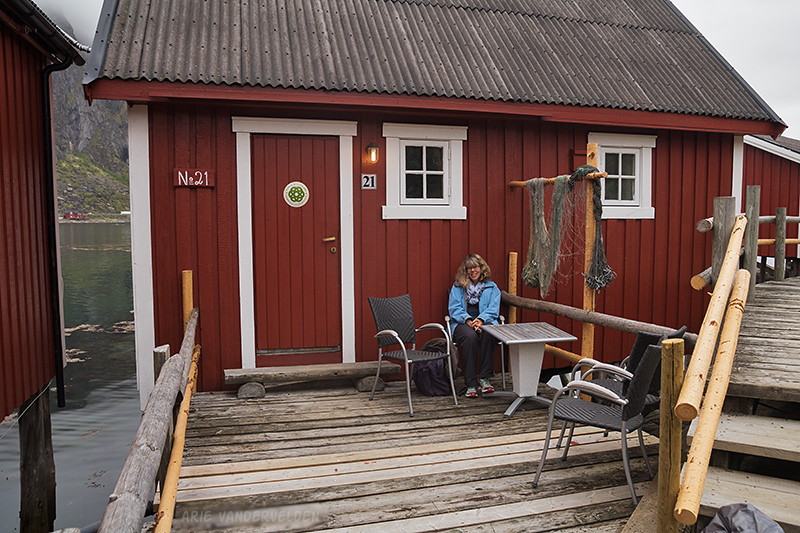 We stayed in the town of Svolvær, a bustling little fishing town about halfway down the Lofoten island chain. 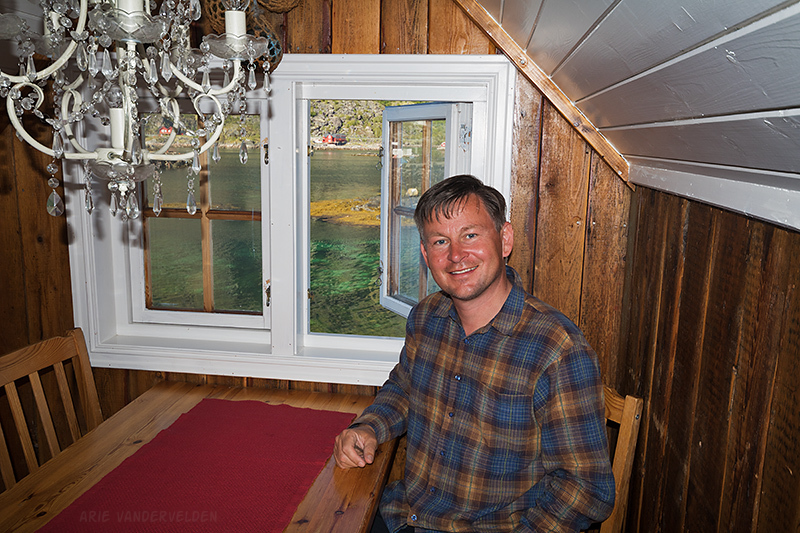 We rented a rorbu, an old boathouse sitting on a rock at the edge of the water that has been converted into a holiday cabin. The one we rented was an authentic one and not a prefab reproduction which are also available for rent. They have been honest in its restoration, and you can tell where the old wood ends and the new wood starts. The cabin is really nice inside. The kitchen and dining room are upstairs, and the bedroom and bathroom are downstairs. Inside the cabin. We had nice views of the fjord. We had views of the harbour, fish-packing plant, and ocean in three directions. Diana at the front of the rorbu cabin. Svolvær is spread out over a number of skerries (rock islets) in a bay, and before dinner we wandered around and had a look. 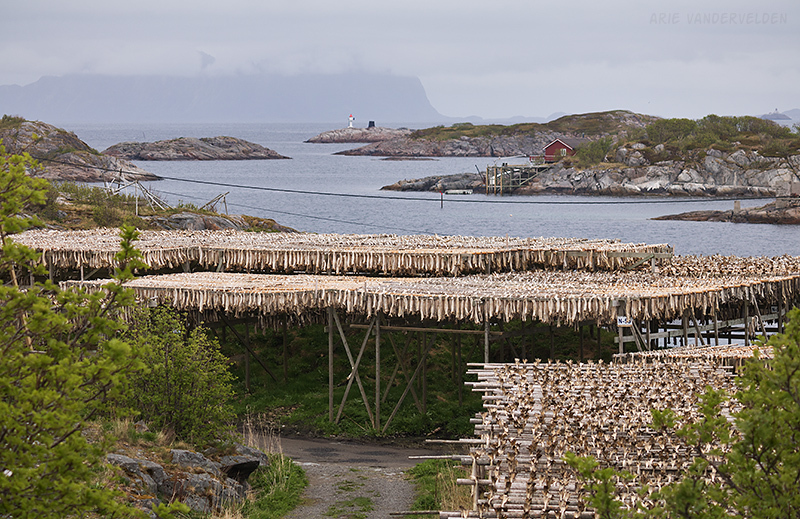 We found huge drying-racks with cod on them (stockfish). 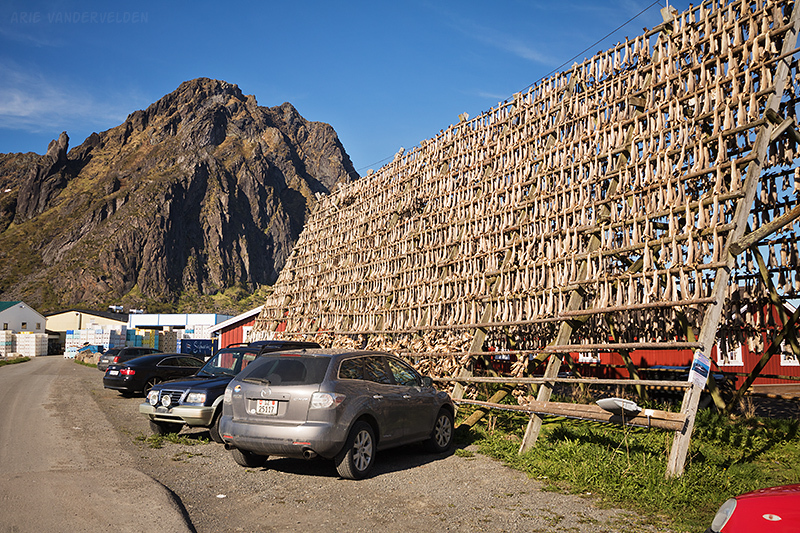 Lofoten is famous for these. Surprisingly they don’t smell much, and even more surprisingly the seagulls don’t peck at them. I think it is because they have been preserved in salt. The backdrop to all of this are the huge mountains, rearing up out of the sea, capped by snow. Fish racks at the parking lot. 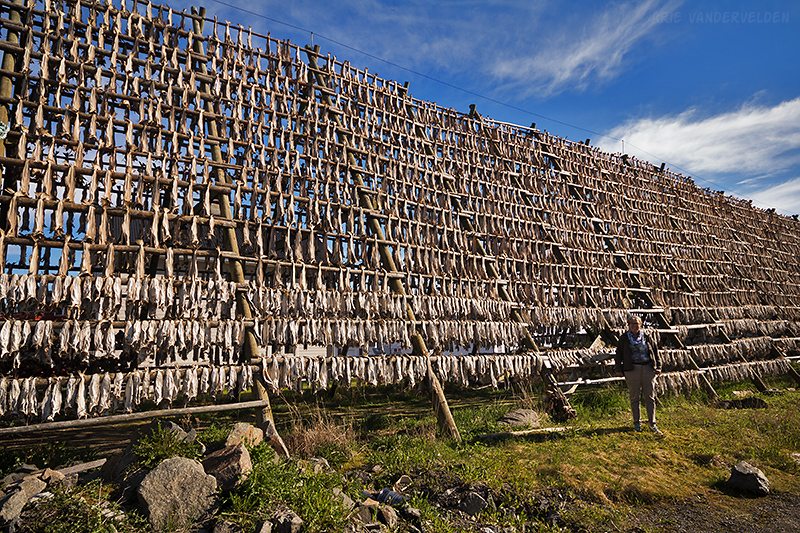 There were thousands and thousands of fish drying. Diana at the fish racks. We walked around and marveled at all of the fish. 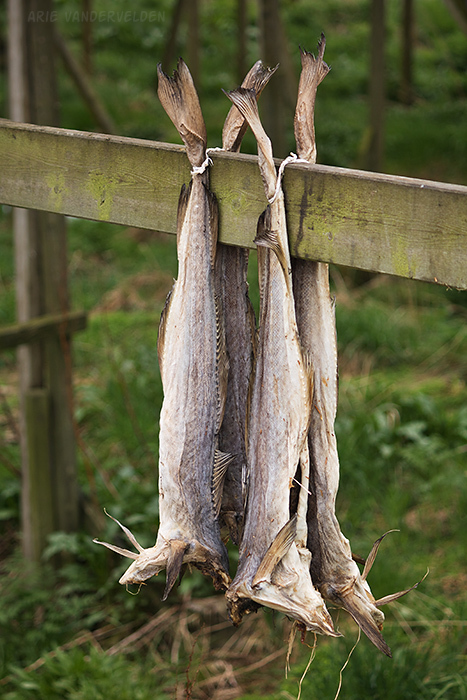 Apparently the major markets for the dried cod are Italy, Spain, and Portugal. 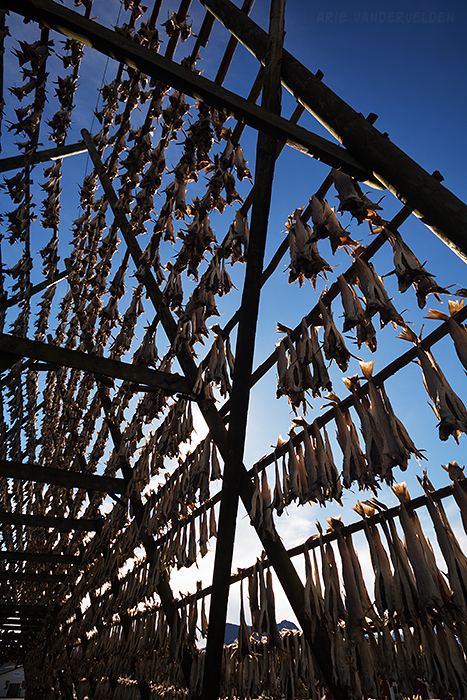 We have had bacalau (dried salt cod) in Portugal before. Now we know where it comes from! 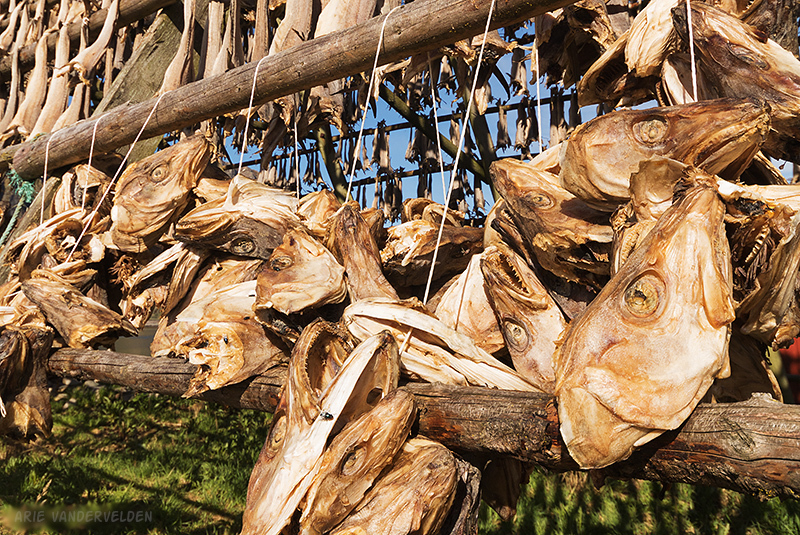 The dried fish heads are exported to west Africa. We wandered down the road and found more fish. 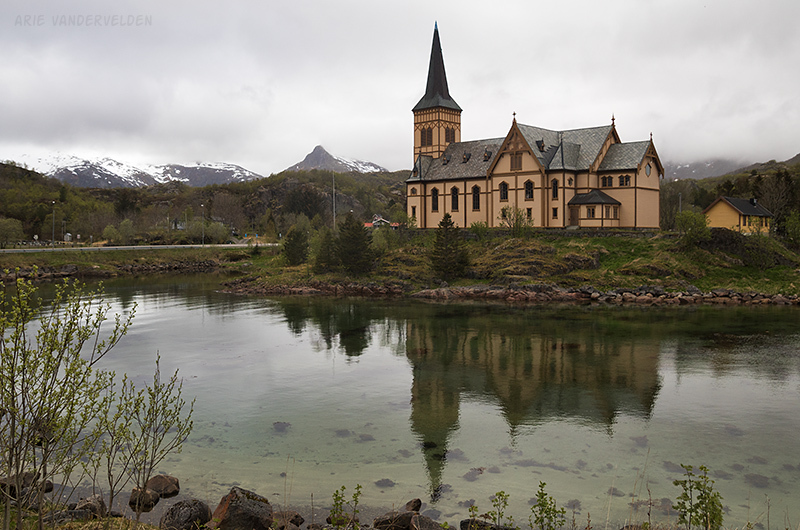 We drove to nearby Kabelvåg where there is a large wooden church. 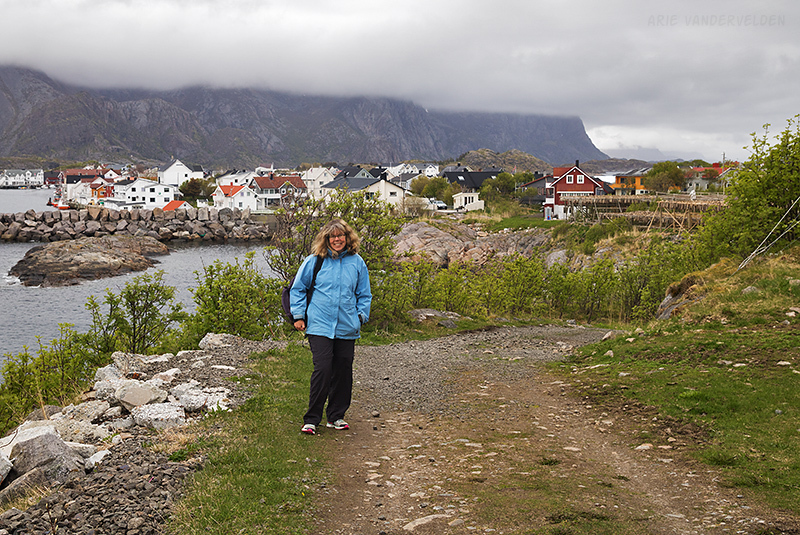 Just down the road is Henningsvær, another fishing village. 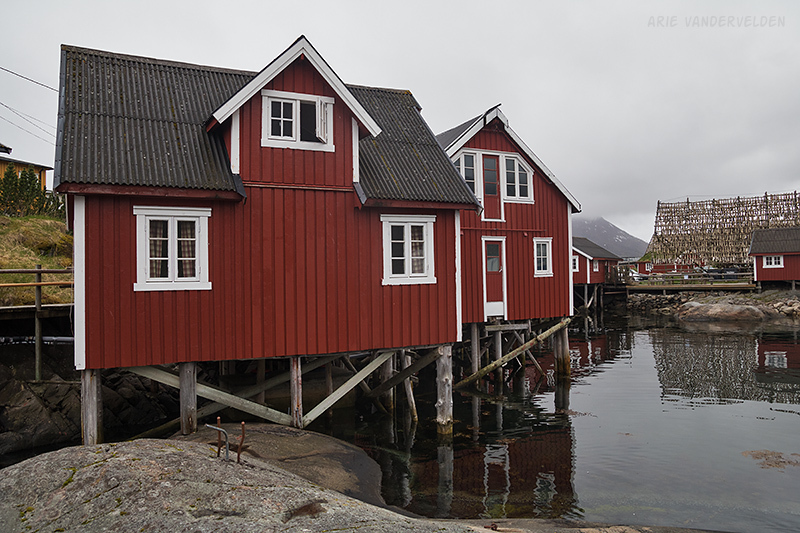 Just like Svolvær, the village is situated on a series of skerries connected by bridges. 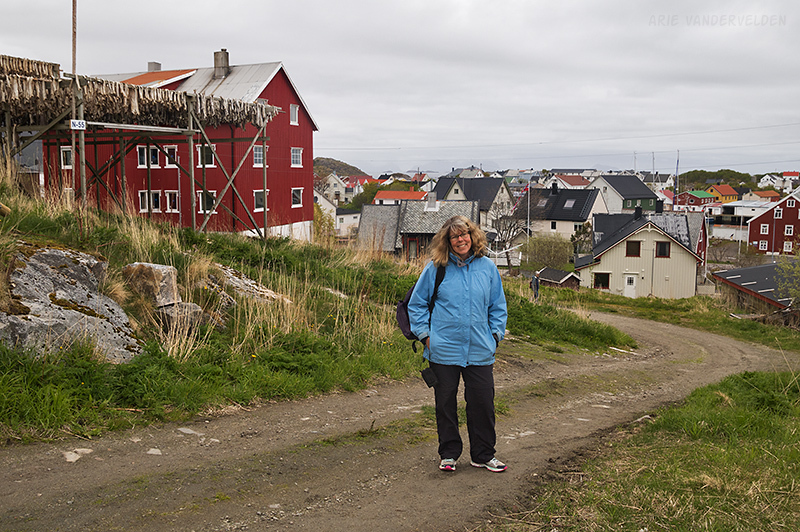 We walked around the colorful fishermen’s houses. And, of course, there are more fish racks. 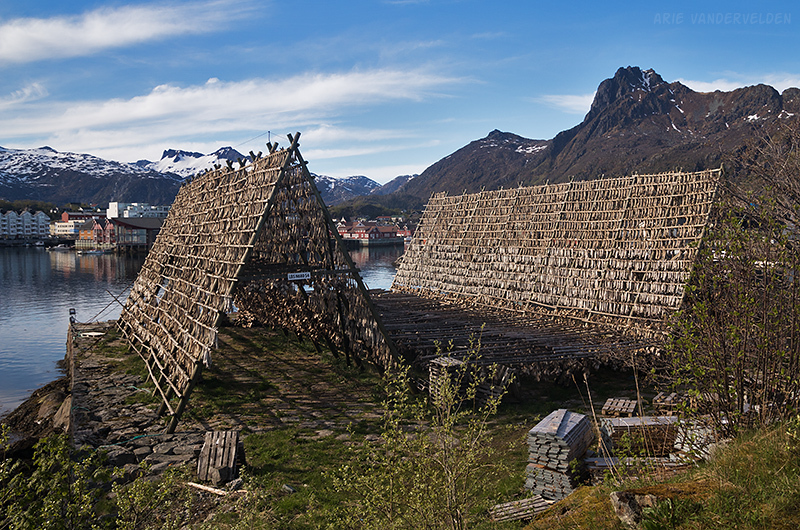 Back in Svolvær we stopped by the tourist info and asked where we could buy some fresh fish. Is there a market on a certain day of the week? The guy behind the counter looked at us funny and told us to just go to the grocery store. But will it be fresh, we asked. He looked at us with indignation and said: of course it is. We followed his advice and bought some cod at the store, and we cooked it up at our rorbu. Sure enough, it was by far the best cod we’ve ever had. Copyright © 2019 ArieVandervelden. Powered by WordPress. Theme: Spacious by ThemeGrill.